Will the liquid handler robot fit in a "Standard" hood? Probably one of the more common questions that liquid handler sales people are asked, and of course...the answer is not so simple. So...back to the original question about liquid handlers... Currently, very few multi-channel liquid handlers will fit in permanently mounted hoods. 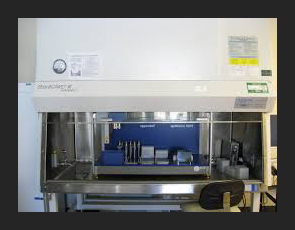 The Hamilton Open Nimbus, Agilent Bravo SRT (not std Bravo) and PE/Calper Zephyr are the most common liquid handlers found in hoods, due mainly to their shorter stature. A number of liquid handler manufacturers now offer options the turn their robots into self-contained, benchtop hoods. By providing saftey shield doors to restrict deck access, the robot itself is isolated from the lab and lab personnel. Two important features enable these setups to fully mirror their permanent mount enclosures. HEPA Filration- High-efficiency particulate arrestance (HEPA),remove (from the air that passes through) 99.97% of particles that have a size of 0.3µm. HEPA filters are critical in the prevention of the spread of airborne bacterial and viral organisms and, therefore, infection. UV Lamps -Ultraviolet sterilization is useful for targeted elimination of microorganisms in air and water. UV lamps can be manually controlled by the operator, or they can be controlled using robot I/O. A word of caution on that approach through...looking at UV lamps without proper eye-protection can cause serious eye damage! If you have the robot control UV lamps it is best to incorporate user prompts the force an operator to initiate the process and reminds them to don eye protection. Finally, if you already own a liquid handling robot and it was not designed to include shielding/HEPA/UV options, or if it is too large to fit in your hoods, you can always have a customer hood designed for it. This is often the simplest and least costly route. Our colleagues at Biodirect offer this service. Seeing is believing, as the old saying goes. However, what separates laboratory automation from industrial assembly or manufacturing applications is its reliance on the assumption that everything will behave as taught. Well, as life teaches us...things change. Industrial automation has practiced total process control for decades. TPC aims to identify all variables in a process and predict the likelihood of failures. Only when you can identify and estimate the risks points in a process, can you predict (or control) the outcome. Let's look at a common process involving a liquid handling robot performing a basic 96-well mtp plate replic ation. We'll keep it simple to illustrate the concept of TPC. 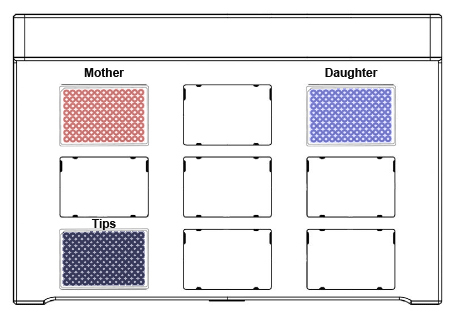 Assume there is a nine position deck (3 x3) and the source plate (mother) is in location A1 (rear left) , the destination plate (daughter) is in A3 (rear right) and a box of disposable pipette tips is located in C1 (front left). Pretty simple method for the robot; Get tips from C1, aspirate 100ul from A1, dispense 100ul into A3 then eject tips back into A3. What could go wrong? A lot. First of all, we will assume that every location has been properly taught. Somehow, the right consumables have to be placed on the corresponding deck locators. This could be done manually by an operator or automatically by the liquid handling robot gripper or an external robot arm. Next, the robot the has to properly attach the tips and reliably aspirate/dispense the liquids, then eject the tips back into the tip box. Vision sensors are an ideal tool for quality control. 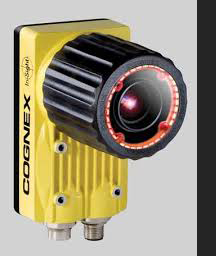 Available from numerous vendors (Cognex, Keyence, Omron_ and others), vision sensors are compact and low cost devicess that allow users to capture a known good image which can then be used as a template to test for matches. They include built in cameras, illumination and I/O along with software for inspecting and training. Unlike Vision Systems, which are often highly programmable frame grabbers, sensors are go/no-go devices that provide fast 'bad/good' decision making. A sensor could be attached to a liquid handling robot arm and driven over consumables prior to a run to see if the plate or tips match a template. Most sensors have the ability to save multiple images and can communicate via simple digital I/O. A robot developer can then use the robots I/O to initiate inspections that either verify and initiate a method or flag an operator with an error message. In my prior blog we talked about static issues and how they can impact disposable pipette tips. Imagine now, using vision sensor (looking horizontally) to inspect the robot mandrel for the presence of a hanging tip. I am sure there are other possible uses for vision sensors in your lab operations...it wouldn't require a 'visionary' to come up with a few. Let us all know if you have some ideas? Most people are taught to think of electricity via the analogy of running water. The volume of water moved from point A to point B is analogous to voltage while the rate which the water flows is like electrical current. Multiply the two together and you have power(P=IxE). 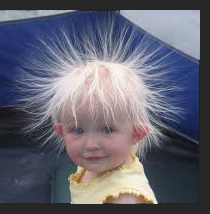 Static electricity is the opposite of current electricity, in that it does not move. It just builds up between two non-conducting materials (like plastic and rubber) and sits there, waiting to discharge (Google Triboelectric Effect). If you have ever touched something and got a brief shock, you have likely experienced static build up and provided the path to ground that discharged that potential energy charge. If you ever touched something and got a prolonged and painful shock, you have probably been electrocuted and may be reading this from the Great Beyond. Static build-up occurs in environments that are dry. Water molecules help diminish charge build up. Insofar as laboratories are concerned, static is generally not an issue due to controlled temperatures and humidity...but they are not immune. This can be routinely found to be an issue with ill-behaved liquid handlers. Disposable plastic pipette tips have been known to 'hang up' or not eject from their mandrels when humidity levels drop. I have seen tips appear to dance in mid-air, only held to the mandrel by static charges. This is dramatically visible with lower volume (384) tips as their mass is less to begin with and is exacerbated by the use of rubber o-rings on the dispense head mandrels. Rubber, plastic and lack of humidity are the perfect recipe for static cling. So what can be done? Well, the simple solution is to add humidity to lab. 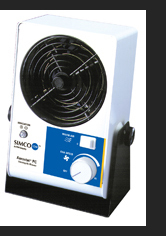 If the lab's HVAC system is not capable of effecting changes, you could place a humidifier near your liquid handler. Just be careful as it is a fine line between adding moisture to th e air and saturating your robot. 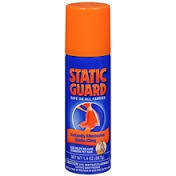 Get a can of Static Guard from your local grocery store. These sprays add moisture (water and alcohol, with minerals and salts removed) and are very effective (albeit temporarily) when sprayed directly on rubber o-rings. Another longer lasting and more pragmatic solution would be to place an ionizing fan right on the liquid handler deck, near your tips racks. These devices add electrical charges to the air (anions, or negative ions) and the fan blows it across your tips which can change the electron imbalance just enough to offset clinging tip issues. Don't let your labs environment make you retreat from automated assays....wait for it....here it comes...."CHARGE." That just happened. BAM. Hey, our colleagues over at Biodirect are offering an unbelievable deal on Tecan EVO 150 liquid handling robots. If you have an older Genesis and can't afford to buy a new unit, you should take a look at this deal. Pretty sweet. 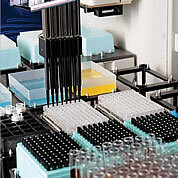 A large majority of liquid handling robots require the use of disposable pipette tips. As mentioned in part one of this post, many OEM manufacturers have a vested interest in providing their own tips. That can be expensive, and with good reason. Most liquid handling robot manufacturers only make tips for their own robots. On the other hand, there are a number of third party vendors who provided comparable tips at significantly reduced prices. How is that possible? Simple, they provide tips for many, if not all, brands, makes and models of liquid handling robots. As such, the sheer scale of their operational commitments to tip manufacturing allows them to create and distribute tips for less. Biotix - manufactures very high quality, OEM comparable automation and manual pipette tips. If you are a VWR customer, you can order them online. They currently offer tips for Agilent/Velocity11, Beckman Coulter, Caliper/Perkin Elmer, Tecan and other robots. Biodirect - for over 14yrs has been the industry leader in providing high quality refurbished lab instruments, particularly liquid handling robots. Refurbished robots from Biodirect can be had for 50-70% the cost of a new robot and come with 6-12 month warranties. The LabSquad - provides preventative and corrective maintenance services on liquid handling robots and all the peripheral instruments commonly found in those labs (washers, sealers, pcr, readers...etc.). 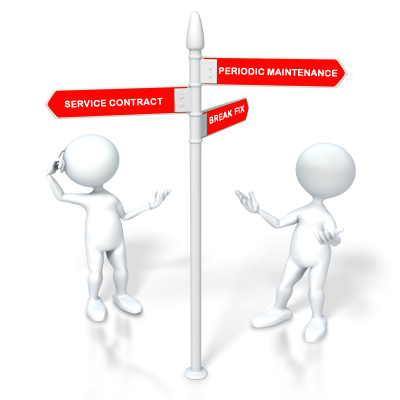 The LabSquad emphasizes the use of PM's as alternatives to expensive OEM service contracts. Under this new partnership, Biotix will provide consumables to Biodirect who will perform all quality testing of refurbished liquid handlers (including Artel dye testing) using Biotix tips and other consumables. Additionally, every newly refurbished unit will ship with a starter kit of Biotix consumables at no charge to customers. The LabSquad performs gravimetric and/or Artel QC tests as a standard part of field based PM's and will now do so utilizing Biotix tips and consumables. LabSquad engineers will also work with customers who need assistance in transitioning from their current tips into Biotix tips. The combined efforts of these three groups presents enormous value to our customers who will save significant time and money. Now, for the first time users can purchase a wide variety of liquid handling robots of any brand/model with warranties and recieve coordinated service and consumables support. Back in May of 2013, we talked about the use of third party tips on liquid handling robots. Well, we got a lot of emails on that one as it seems a lot of people are looking for alternative tip providers, for a number of reasons...but mostly cost savings. We heard a lot of stories regarding OEM's who threatened to void instrument warranties or even refuse to service instruments that use third party tips. Is that legal? Probably not but, it certainly is unwise and I would imagine that is not a company policy so much as it is a regional sales rep or service engineer who does not want to lose a lucrative revenue stream. Having worked on the supplier side (at Caliper Life Sciences, now part of Perkin Elmer), I can tell you that most OEM's want end users to buy their tips...and only their tips. Why is that? Well, the biggest reason is that they have invested heavily in the creation of precision injection molds and the logistics required to stock and ship tips. This is not inconsequential and often explains why OEM tips tend to cost more than third party tips. Even when the mold costs have been amortized, stocking and distributing tips is a costly endeavor, as is ongoing quality monitoring. b) 0-rings on mandrels that might wear or deform due to physical differences (polymers or dimensions). Other than that, it's really a red-herring argument. Our sister division, AssayGuru has performed performance analysis on a number of third party tips for various manufacturers and compared both pipetting accuracy and mechanical reliability. These tests were conducted on various brands of liquid handling robots using both third party and OEM tips. In most cases, there have been no issues and the third party manufacturers we have worked with were eager to find and correct any flaws, prior to launching their tip products. In my next post, I will detail one such manufacturer who has impressed us so much that we have actually created a new partnership...stay tuned. "It slices, it dices, it will even make Julian Fries (whatever they are)." How many times have you heard a pitch that just sounded too good to be true, and then upon looking into the details...your intution was right? It's a common story of over-promise/under-deliver. It turns most people off, but I guess that it works enough that the hucksters keep trying it. Still, if you have something of value and can get more people to take a look by telling it like it is, the rewards would be much greater. You would think purveyors of such approaches would learn, but it's hard to teach an old dog new tricks. Over the last 15 years of working with researchars I have heard countless tales of people who got burned by someone whose pitch was great but whose product...not so much. This is especially true of refurbished lab equipment. I have worked in several other industries such as electronic assembly and industrial automation, mostly invoving customized robotic solutiions. After a market matures, resellers of "previously used" equipment start appearing in numbers. It's just the way it is and we certainly have our share in the life sciences. Some good, some...not so good. There are lots of reasons but at the end of the day, the only thing that matters is customer satisfaction. Someone who buys a used lab instrument is almost always looking for two things: a) cost savings and b) reliability. It doesn't take a rocket scientist to figure out that over-selling and under-delivering to these folks is not going to work. So, what separates the good resellers from the bad? In my experience, it comes down to honesty. Does the reseller really understand what they have and are they sufficiently experienced or resoured to provide products that will result in a happy customer? 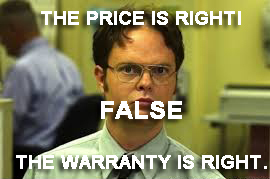 You can usuially determine this by the warranty they provide. 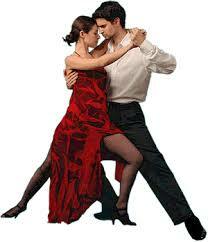 Resellers that have confidence in the quality of what they are offering provide longer warranties. It's a simple yardstick but a good one. If you buy from auction sites, be aware that what you see in photos may not be what you get. Same thing for eBay or sites that provide 30 day money back guarantees. That last one should set off road flares. Essentially, these folks are saying "hey, you go ahead and try it out because we have no idea whether the thing works or not. If it fails, then send it back and thanks for the free triage." Side Note - We work on a variety of instruments from many resellers and have first hand experience on the good and the...not so good. 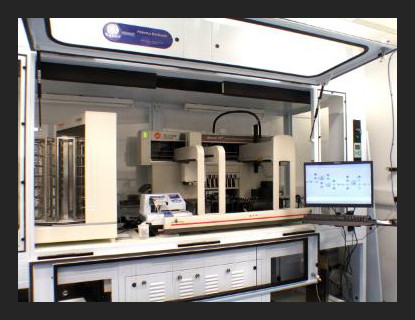 The LabSquad's parent company, Biodirect Inc has been a leading provider of refurbished lab instumernt for nearly 15 years. 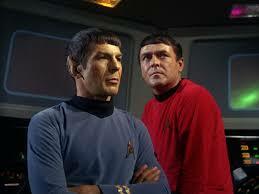 What Spock could teach Scotty..
You probably heard that acclaimed actor Leonard Nimoy passed away last week. While it would be wholly unfair to ignore the breadth of his many professional achievements, it is hard not to focus on the iconic role of Star Trek's Mr. Spock. Thinking back on the character of Mr. Spock (Chief Science Office), it got me thinking about how engineers, particularly field service engineers, interact with scientists in our industry. Scientists and engineers have vary different mindsets and sometimes have a little difficulty in communicating. Not to get overly analytical but, scientists by nature are experimenters. They solve problems by hypothesizing, experimenting and observing. Engineers on the other hand, generally take a systems approach to problem solving, using 'knowns' and working their way backward to determine faults. Good engineers, by virtue of their training take a 'first do no harm' approach to resolving problems and therefore ask lots of questions before they start taking things apart. Two different approaches that can be hard to reconcile. Channeling Dr. McCoy "Damnit Jim, I'm a doctor not an... (insert engineer or scientist here).